Have you ever felt different from others? Have you ever felt others look at you strangely? Have you felt uncomfortable and that you’re drawing too much attention to yourself? Probably you have at one point or another. But if you have a food allergy or intolerance (or many), you’re probably used to feeling different and to missing out on things. Every time I order in a restaurant and have to give detailed instructions about what I can and cannot have and how the food has to be prepared, I feel a bit like a freak–and a nuisance. If you have food issues, you can probably relate. 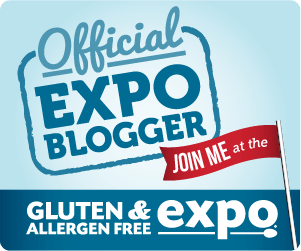 This weekend I had the pleasure of attending the Gluten and Allergen Free Expo. As an adult, I enjoyed finding foods I could eat and being surrounded by others who have the same food issues as I do. However, I also took my family on the first day, and my nearly 9 year old son, Bookworm, who struggles with being different and feeling like there is nothing he can eat, had an epiphany. There were so many vendors at the GFAF Expo (over 100! ), that my son began to realize there are plenty of replacements for his favorite food and that he doesn’t have to feel deprived. Even better, he looked around and found thousands of people who are just like him. The GFAF Expo was a great place to go to not feel different. We all enjoyed trying new products and meeting with vendors. While it was great to meet with the national companies, meeting with local vendors was just as important. While all the vendors offered tasty products, my kids were particularly impressed with a brand new company, Pascha Chocolate. If you’re dairy free, you know that finding dairy free chocolate is difficult. This company offers chocolate that is free of major allergens, and best of all, the chocolate was good! 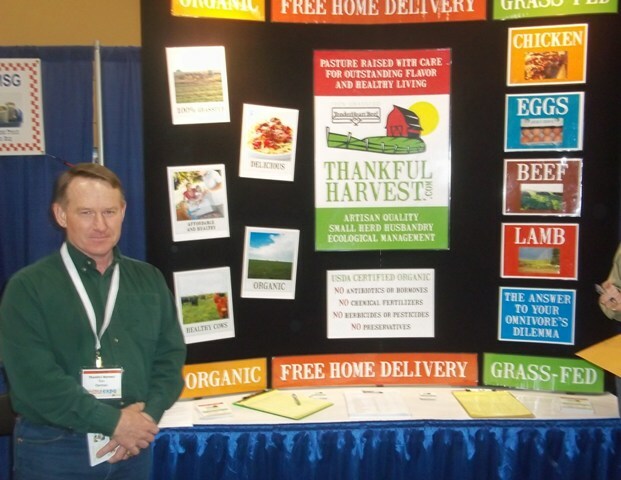 I was also happy to find another nearby farmer from Thankful Farms who grass feeds his animals and delivers to our area. We’re excited to order from him in the upcoming weeks. I also found the sessions particularly helpful. Carlyn Berghoff, whose 16 year old daughter was diagnosed with Celiac Disease 3 years ago, led the session “Cooking for Your Gluten Free Family and Teen.” She spoke about how sensitive teens are to peer pressure and how difficult it is to feel different. Bookworm is only 8, but I see this every day with him. He just wants to be like the other kids and eat junk food, which is difficult since he is dairy, gluten and food dye free. I’m so thankful that there are more and more manufacturers making allergen friendly foods. Kim Koeller, a seasoned international traveler with multiple food allergies, led the session “Safely Eat Out and Travel.” On a day to day basis, I’m fine with handling my food intolerances, but when we travel, I often feel inconvenienced. So, I found this session very interesting. Koeller mentioned that when she flies on long trips, she packs a soft cooler bag and a ziplock bag full of ice. Before she goes through security, she dumps out the ice but keeps the ziploc bag. Then, in the airport or airplane, she asks for replacement ice so her food stays cool during the flight. Another helpful hint she gave was to speak in the restaurant’s language. Let’s say you’re going out to a Mexican restaurant and you want to know if you can eat the corn chips or if the oil has been cross-contaminated with gluten. You can simply ask, “Are the corn chips fried in the same oil as your chimichangas?” If the answer is yes, then you know you can’t eat them if you are avoiding gluten. Often this method of asking is much more successful than simply asking if the chips are gluten free. Overall, the GFAF Expo was a great place to connect with vendors, be surrounded by others who are facing the same issues, and hear from others who have learned how to make a gluten free life easier to manage whether that means going out to eat safely or prepping your kitchen to avoid cross contamination.